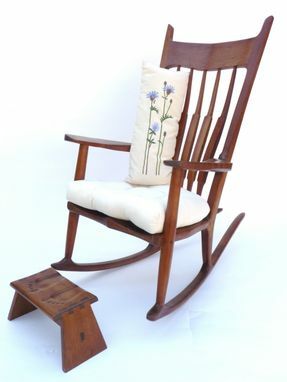 This Rocker & Footstool are available in all the woods that we offer. Strongly influenced by the work of Sam Maloof it will make a striking addition to any setting in your home. 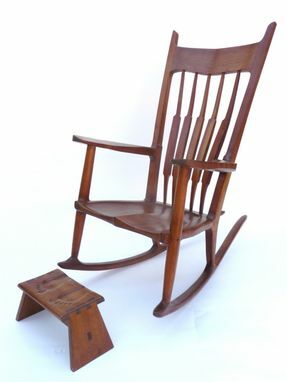 This has an oiled and waxed finish that will cause guests to touch the rocker and pick up the footstool with the carved small feet. 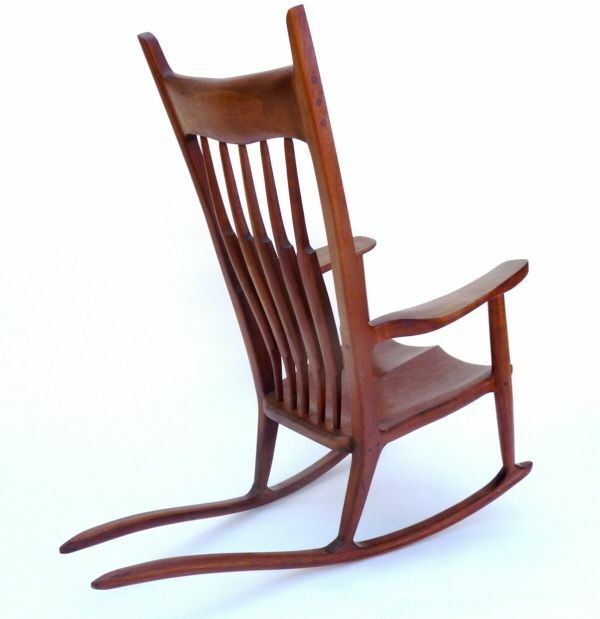 Dimensions: Size: Nancy's Rocker: 46" high 26" wide and 48" deep. Footstool: 7 ½" high 7 ¼" deep and 15 ½" wide.